In Space War you start an epic space battle rendered in 2D pixel graphics. Take control of a spacecraft traveling through a hostile, pixelated world. Face off against 8 bosses, all with their own unique abilities and weaknesses. Get ready for exciting new missions, powerful enemies, and breathtaking boss battles! Space War was added by claudesg in Mar 2018 and the latest update was made in Apr 2018. The list of alternatives was updated Apr 2019 There is a history of all activites on Space War in our Activity Log. It's possible to update the information on Space War or report it as discontinued, duplicated or spam. 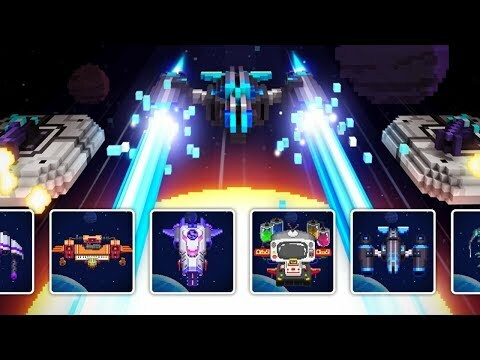 Alternatives to Space War for Android, iPhone, iPad, Windows, Linux and more. Filter by license to discover only free or Open Source alternatives. This list contains a total of 6 apps similar to Space War. No reviews yet for Space War, want to be first? Maybe you want to be the first to submit a comment about Space War? Just click the button up to your right!